Whenever your pet needs a vet, we’re open. 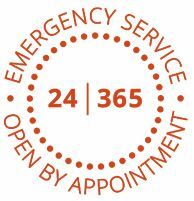 Just call our 24-hour emergency service on 020 7730 9102 and you can speak to a qualified member of staff for peace of mind. Our clinic was the first practice in Europe to offer 24-hour emergency pet care. We currently offer this service to clients of more than 20 central London clinics. 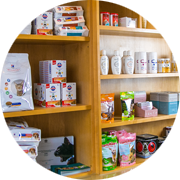 Elizabeth Street Veterinary Clinic is a small animal veterinary practice offering sensible, caring and unhurried treatment and advice on all aspects of your pet’s health. 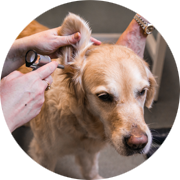 Fully qualified nurses and veterinary surgeons provide a complete range of diagnostic, surgical and life monitoring services. Our clinic is in Belgravia, within easy reach of Chelsea, Westminster, Pimlico and Battersea. You can be confident that the health of your pet is in good hands. If your pet needs preventative care, diagnosis and treatment of illness or injury, or surgery, we’re here to help. 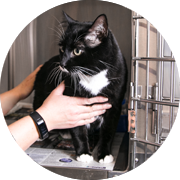 Find out more about our veterinary services. We believe that preventative healthcare can help your pet enjoy a healthier life and avoid potentially serious diseases. Find out more about our healthcare services. Every facility your pet needs is on site, from a welcoming reception and waiting room to consulting rooms, fully equipped laboratory and theatre, and recovery ward.